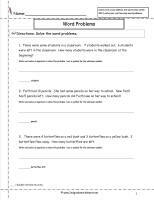 One digit addition word problems with 1 and 2 step problems. 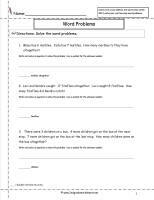 One digit subtraction word problems with 1 and 2 step problems. 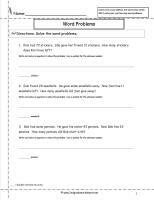 Two digit addition word problems with 1 and 2 step problems. No regrouping. Two Digit Subtraction word problems with 1 and 2 step problems. No regrouping.